Stardust is a retailer specializing in the Tolomeo Lamp collection by Artemide lighting and modern Italian design lamps as well as the incomparable Tolomeo range designed by Michele De Lucchi and Giancarlo Fassina. 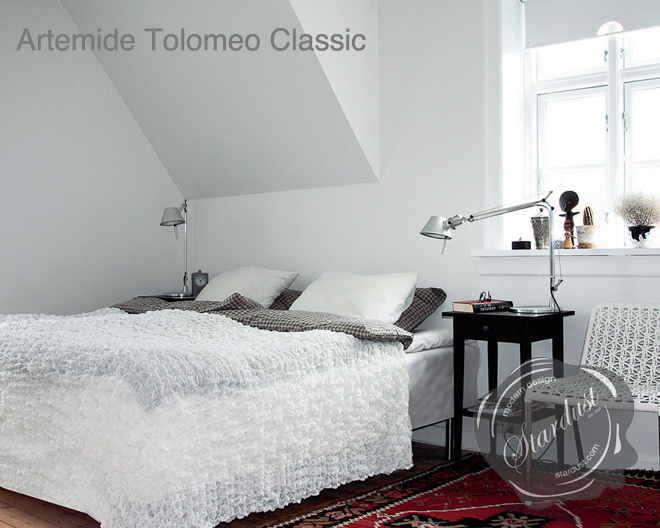 The Artemide Tolomeo is one of the world's most famous desk lamps. Few awards in the design world are as sought after as the Italian-focused Compasso d'Oro (Golden Compass) - only 20 have been given out since its introduction in 1954. So the angular Tolomeo lamp, designed in 1987 by Michele de Lucchi and Giancarlo Fassina, must be something special. It inspired the jury to come together in 1989 to present the prize for only the fourth time that decade. 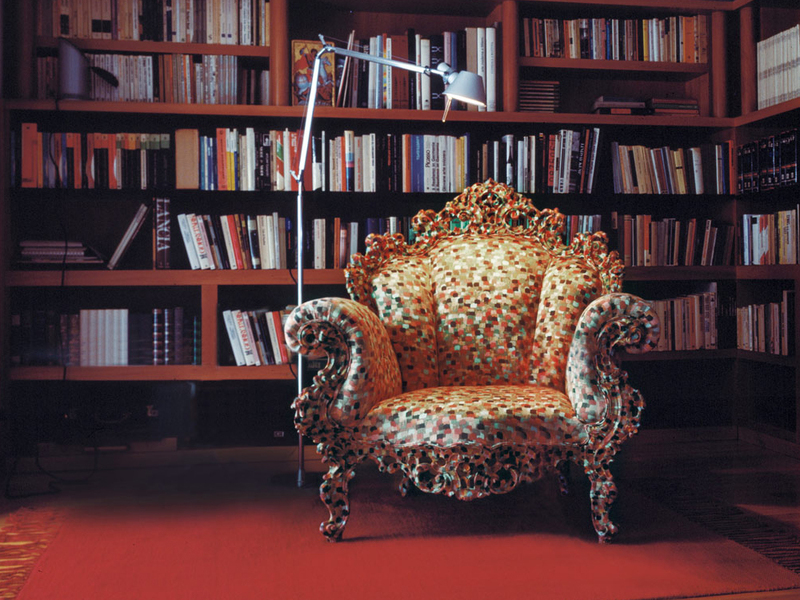 Tolomeo is featured in numerous Hollywood movies. One latest example, check the desk of M (played by Judi Dench) in the movie SkyFall where we can see several Tolomeo Table lamps. 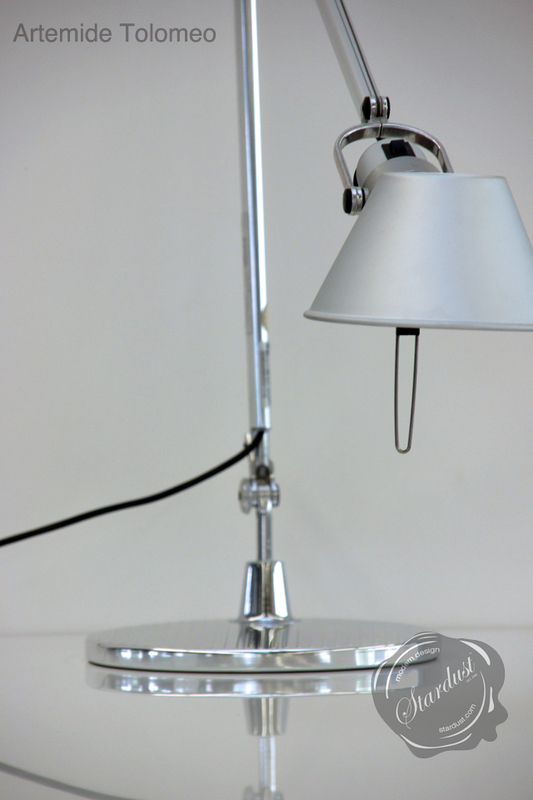 Artemide's stylish Tolomeo Lamp is everything a desk lamp needs to be, flexible and versatile. The polished and anodized aluminium lamp, all neat precision and utilitarian lines, aimed to strip back the garish excesses of the period. With its cantilevered structure and a head that revolves in all directions, it's brilliantly efficient as well as good looking, which helps explain its enduring popularity across the globe. 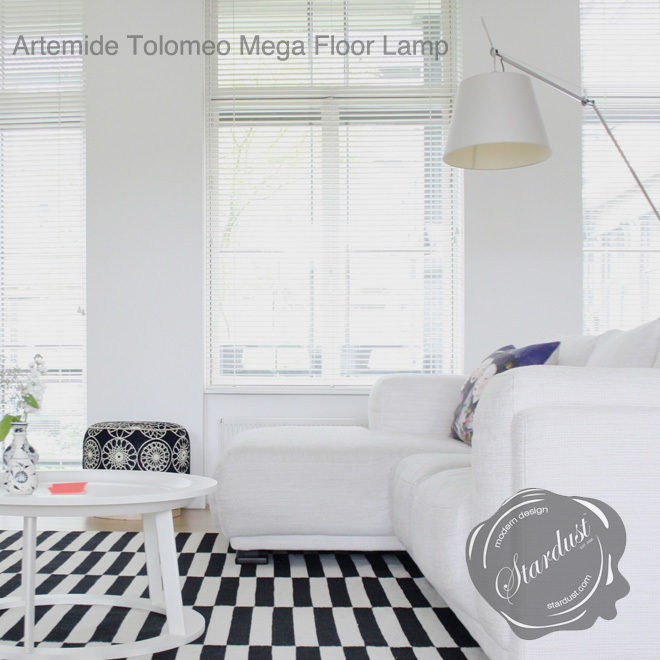 Artemide also makes a floor version: the Tolomeo Floor Lamp. 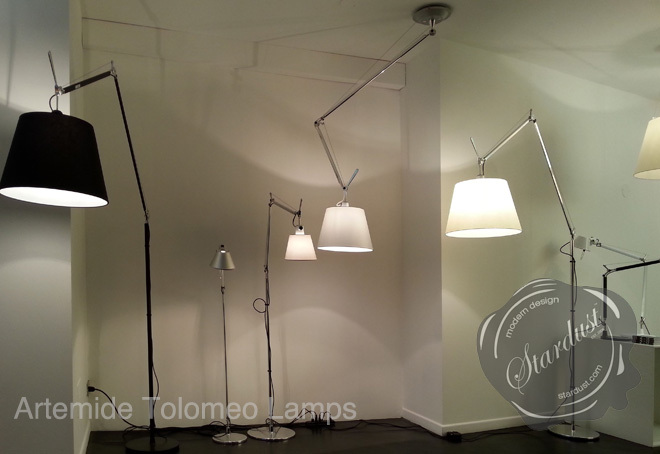 The Tolomeo Mega lamp has become an icon of Italian modern design. 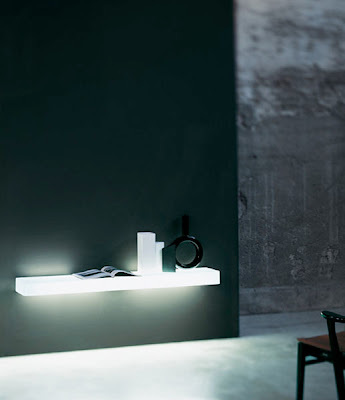 It was designed for Artemide by Michele De Lucchi and Giancarlo Fassina in 1986. 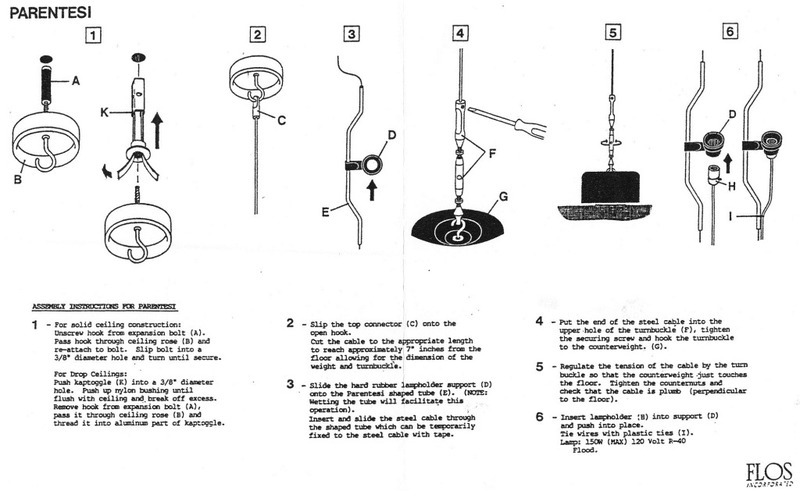 The Tolomeo was originally launched as a desk fitting with a constant tension arm structure, though, it didn't take long before the entire concept was scaled up. 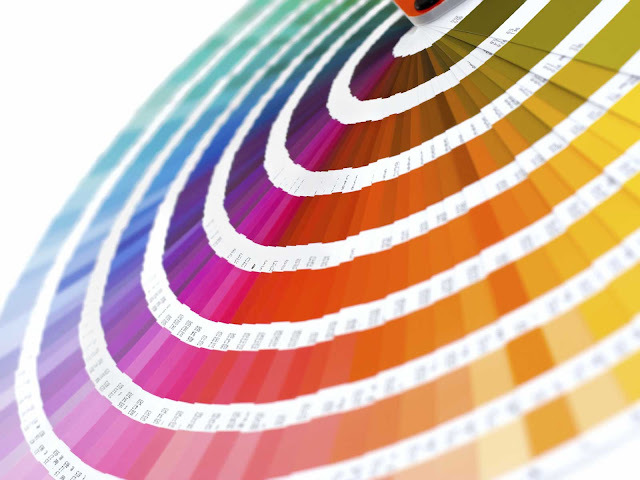 Fitted a selection of large diameter shades finished in parchment or in a smooth silk grey material, the Tolomeo Mega has become a very popular adjustable floor fitting. It's long reach makes it capable of cantilevering the shade over a dining table from the corner of a room. The fittings can be fitted with 150W lamps and are also offered with a dimmer located on the cable. Designed by Giancarlo Fassina and Michele De Lucchi, the Tolomeo Lamps are a solid choice.